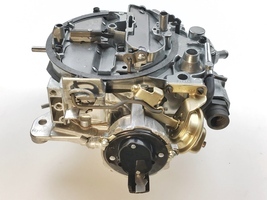 A-Team Performance 1901R Remanufactured Rochester Quadrajet Carburetor - 4MV - 1966-1973 GM/CHEVY CARB Rochester Quadrajet Carburetor- 4MV - 1966-1973 1901R Remanufactured 4-bbl. Carburetor Q-Jet Casting 750 CFM Vacuum Secondary Divorced Choke 1966-73 327-454c.i. Calibration Direct replacement-style performance carburetors that out perform "over-the-counter" O.E. style replacement carbs. 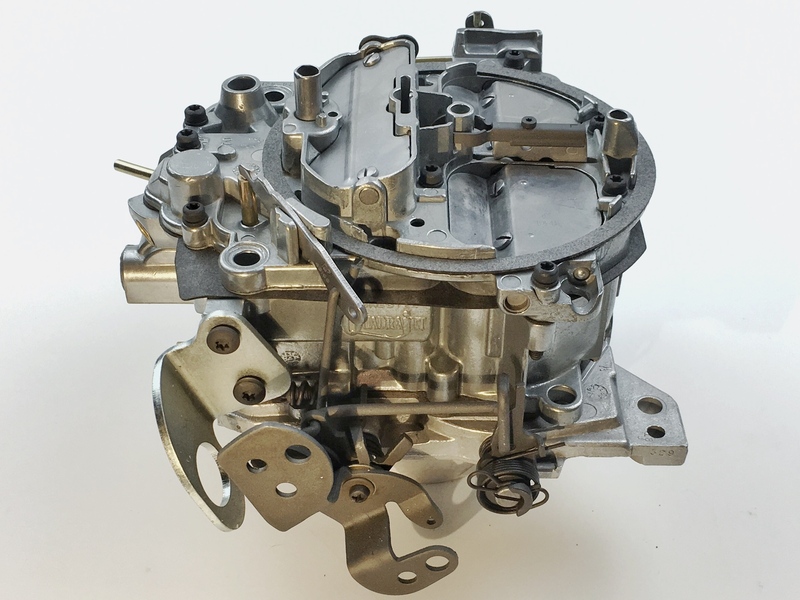 Our Universal Performance carburetors improve throttle response and overall performance throughout the RPM range. 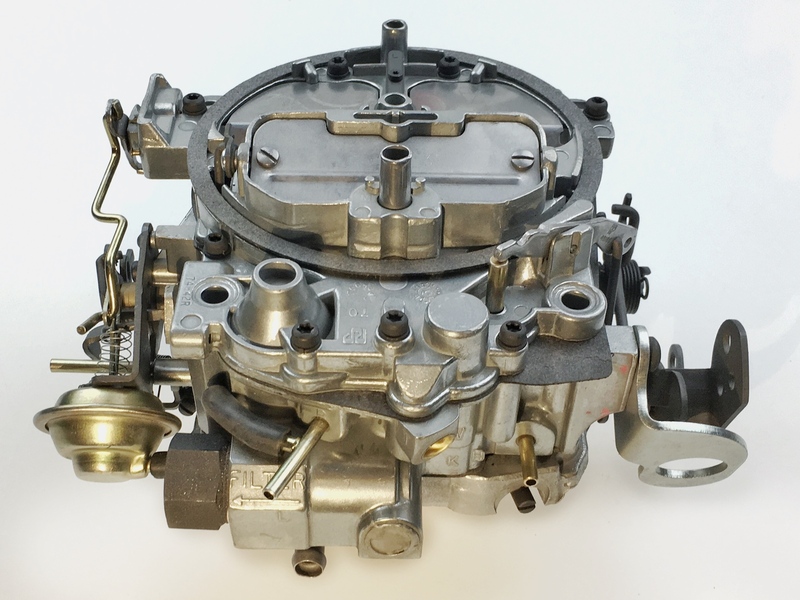 Each carb has a distinctly different fuel curve calibrated for a particular application. 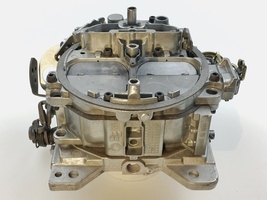 1966-73 Chevy 327-454c.i. 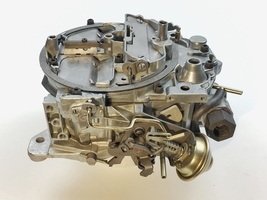 engines with Chevy bowl entrance and linkage style, divorced choke, compatible with EGR. Main Jet: 0.069, Metering Rods: Primary - 36B, Secondary - DR. Cross Reference Guide For 1901R 1966-73 Chevy cars, use #1901R 7026202 7026203 7026210 7027202 7027203 7027212 7027213 7027218 7028207 7028208 7028209 7028210 7028211 7028212 7028216 7028217 7028218 7028219 7028229 7029200 7029201 7029202 7029203 7029204 7029214 7029215 7029223 7029224 7037203 7040200 7040201 7040204 7040205 7040206 7040221 7043200 7043201 7043208 7043216 7046902 7046904 7046906 7046907 7046984 7047116 7047132 7047304 7047315 7047316 7047320 17054696 17054699 17054705 17054917 17054923 17055036 1968-73 Chevy/GMC Trucks, use #1901R 7040007 7040021 7046904 7047207 7047303 7047305 7047306 7047307 7047316 7047319 17054236 17054709 17054961 A-Team Performance parts are sold exclusively by Southwest Performance Parts. 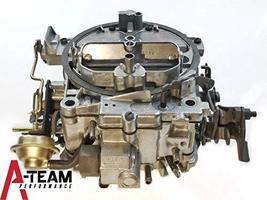 A-Team Performance 1901R Remanufactured Rochester Quadrajet Carburetor - 4MV - 1966-1973 GM/CHEVY CARB - 750 CFM Vacuum Secondary Divorced Choke. 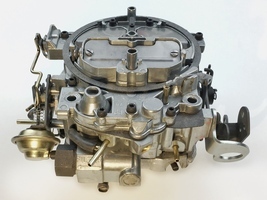 Calibration, Direct replacement-style performance carburetors that out perform "over-the-counter" O.E. style replacement carbs. 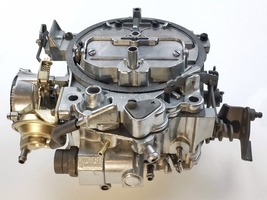 Our Universal Performance carburetors improve throttle response and overall performance throughout the RPM range.